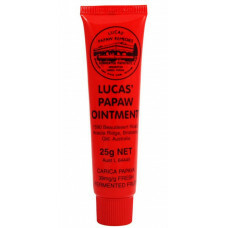 Many users of the ointment also report temporary relief of the symptoms of dermatitis and eczema. 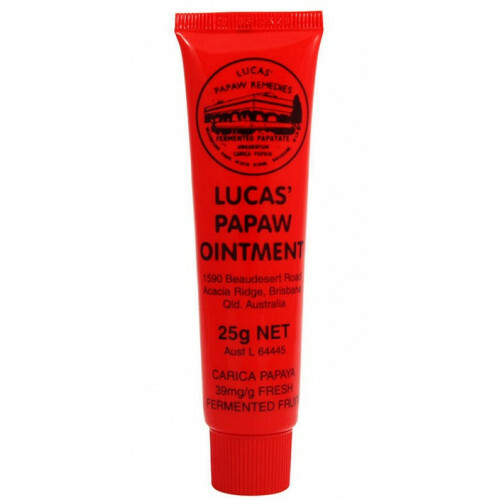 With so many uses and applications, it is always great to have a red jar of Lucas' Papaw Ointment handy in the home. Carica Papaya 39mg/g Fresh Fermented Fruit. Potassium Sorbate 0.1mg/g as preservative. This product contains a petroleum base.